The Catholic Portal is a core component of the CRRA's mission. 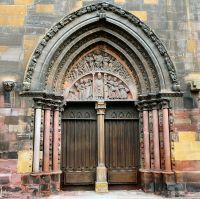 The aim is to develop a portal rich in rare, unique and uncommon Catholic scholarly resources with a robust search and display functionality and links to the digital content. The CRRA has identified twelve primary collecting themes of particular interest and importance on significant aspects of the Catholic tradition, including social action, education, Vatican II, Men’s and Women’s religious orders and missions. The content and scope are described in further detail in the Collection Policy Statement. The Catholic Newspaper Program began in 2010 as the Scholars Advisory Committee shared their intense use of Catholic newspapers in research concerning a wide range of social and economic issues, including education, public health and medical care, and social justice. Citing reasons of scattered locations, challenges in accessing Catholic newspapers, and the imperative of preservation, they recommended digitizing newspapers for access, use and preservation. 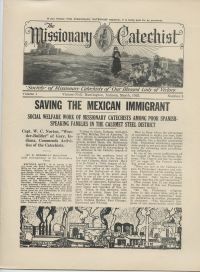 The Catholic Newspapers Committee is charged with establishing a program that will identify, locate, document, preserve and digitize North American Catholic newspapers, working systematically and collaboratively with members, scholars, and other associations.